The background of my blog is based on doodles I find myself consistently making. To me it's a way of relaxing by making any shape that comes to me then trying to turn it into a creature. 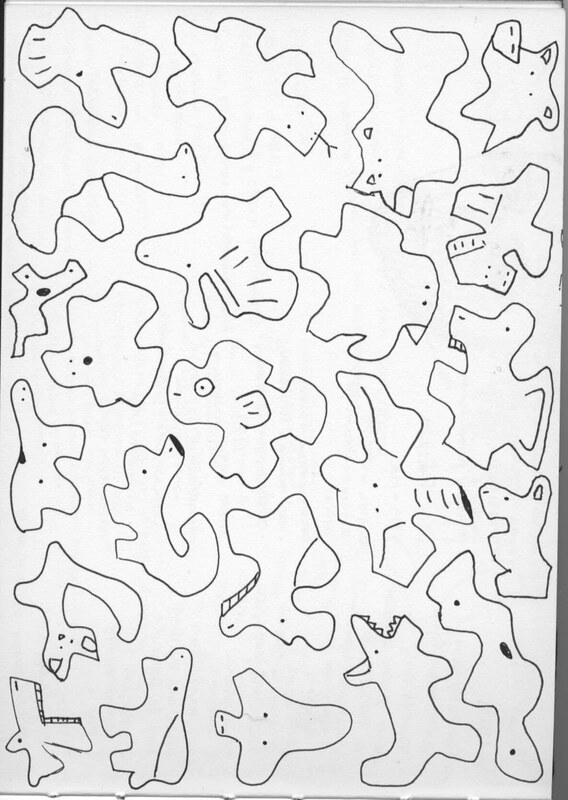 Below is the original doodle scanned, which I took into Illustrator and traced (and modified slightly). You really really should be a designer. This would be a great fabric.